Dr. Sanford “Sandy” Shugart is the honorable president of Valencia College, and when he isn't running one of the largest post-secondary institutions in the nation, he is also a poet and singer-songwriter. He will once again share his famous folk music style, with an upcoming performance at the historically rich Garden Theatre in Winter Garden. Shugart’s sound is a warm blend of easy listening tunes that harken back to a simpler time. He uses his personal past experiences in life, and the diverse cross section of people he has met, to inspire his musical style that comes straight from the heart. Artistic influences have always been a part of Shugart’s life, when even as a young man he was inspired by the musical talent found in members of his own family. His accomplished career at Valencia began when he was selected as president and head administrator back in January of 2000. Working to improve student experiences and graduation success rates for over a decade, Shugart eventually lead Valencia to be recognized as the top community college in the nation when the campus was awarded the inaugural Aspen Prize for Community College Excellence in December of 2011. The stage will be set for this live performance like an inviting family living room; complete with comfy couch, cozy rug, and a tight knit group of fellow musicians that will accompany Shugart during the show. Tickets for this concert will be $25 for general admission, or a discounted rate of $14 for any students or faculty members that purchase tickets with their Valencia ID. For more information and to bye tickets in advance visit the Garden Theatre website at gardentheatre.org or by calling 407-877-4736. This unique concert experience is a rare treat from the busy president of Valencia. 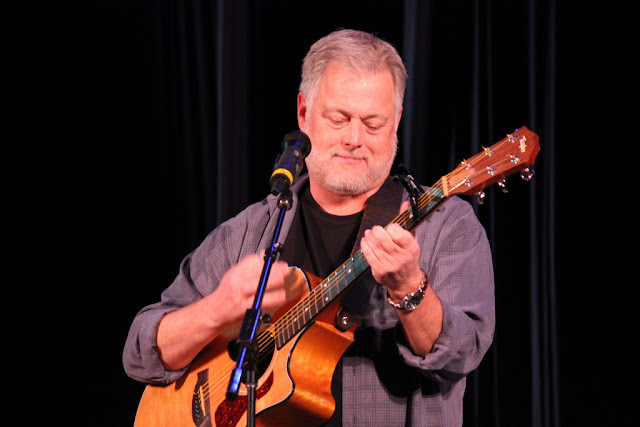 So make time to see “Sandy Shugart In Concert” at the Garden Theatre on Saturday, Jan. 12 at 8 p.m.